For other uses, see Fakir (disambiguation). "Faqir" redirects here. For the given name, see Faqir (given name). A fakir, or faqir (/fəˈkɪər/; Arabic: فقیر‎‎ (noun of faqr)), derived from faqr (Arabic: فقر‎‎, "poverty"). The word 'fakir' is an Arabic word that refers to the one who is self-sufficient and only possesses the spiritual need for God. Faqirs are Muslim ascetics and Sufis who have taken vows of poverty and worship, renouncing all relations and possessions. Faqirs are characterized by their attachment to dhikr, (a practice of repeating the names of God, often performed after prayers) and asceticism. Sufism gained adherents among a number of Muslims as a reaction against the worldliness of the early Umayyad Caliphate (661–750 CE). The term may refer to a Muslim Sufi ascetic in the Middle East and South Asia. Though, Sufis have spanned several continents and cultures over a millennium, originally expressing their beliefs in Arabic, before spreading into Persian, Turkish, Indian languages and a dozen other languages. The term has erroneously also been used to refer to Hindu and Buddhist ascetics (e.g., sadhus, gurus, swamis and yogis). These broader idiomatic usages developed primarily in the Mughal era in India. Calanus, a Hindu Naga sadhu of the 4th Century B.C., is often called a faqir by historians. There is also a distinct clan of faqirs found in North India, descended from communities of faqirs who took up residence at Sufi shrines. During the 17th century, another noble and spirited Muslim scholar and saint, Sultan Bahoo, revolutionized Sufism and reinstated (with fresh properties) the definition of faqr and faqir. Historically, the terms tasawwuf, faqr, and faqer (noun of faqr) were first used (with full definition) by Husayn ibn Ali, who was the grandson of Muhammad. He wrote a book, Mirat ul Arfeen, on this topic, which is said to be the first book on Sufism and tasawwuf. However, under Ummayad rule, neither could this book be published nor was it allowed to discuss tasawwuf, Sufism or faqr openly. For a long time, after Husayn ibn Ali, the information and teachings of faqr, tasawwuf and Sufism kept on transferring from heart to heart. 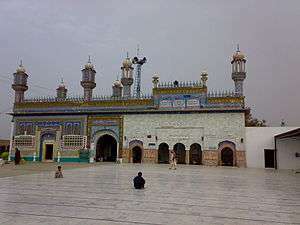 In the 10th century, highly reputed Muslim Abdul-Qadir Gilani, who is the founder of Qadri silsila, which has the most followers in Muslim Sufism, elaborated Sufism, tasawwuf and faqr. In the 13th century, Ibn Arabi was the first vibrant Muslim scholar who not only started this discussion publicly but also wrote hundreds of books about Sufism, tasawwuf and faqr. In English, faqir or fakir originally meant a mendicant dervish. In mystical usage, the word fakir refers to man's spiritual need for God, who alone is self-sufficient. Although of Muslim origin, the term has come to be applied in India to Hindus as well, largely replacing gosvamin, sadhu, bhikku, and other designations. Fakirs are generally regarded as holy men who are possessed of miraculous powers. 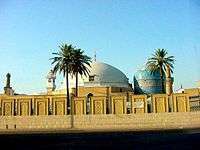 Among Muslims, the leading Sufi orders of fakirs are the Chishtiyah, Qadiriyah, Naqshbandiyah, and Suhrawardiyah. The Cambridge English Dictionary defines faqir as "a member of an Islamic religious group, or a holy man". 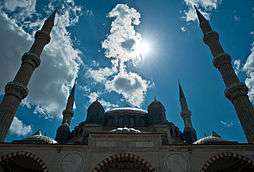 The attributes of a fakir have been defined by many Muslim saints and scholars; however, some significant definitions from distinguished personalities of Islam are quoted here. One of the most respected and beloved early Muslim saints, Abdul-Qadir Gilani, also elaborated Sufism, tasawwuf and faqr in a conclusive manner. Explaining the attributes of a fakir, he says, "faqir is not who can not do anything and is nothing in his self-being. But faqir has all the commanding powers (gifted from Allah) and his orders can not be revoked." Then, Ibn Arabi explained Sufism, including faqr, in more details. He wrote more than 500 books on topics relating to Sufism, tasawwuf and faqr. He was the first Muslim scholar who introduced (first time openly) the idea of Wahdat al-wujud, which remained the talk of the town for many centuries. Another dignified Muslim saint, Sultan Bahoo, describes a fakir as one "who has been entrusted with full authority from Allah (God)". In the same book, Sultan Bahoo says, "Faqir attains eternity by dissolving himself in oneness of Allah. He, when, eliminates his-self from other than Allah, his soul reaches to divinity." He says in another book, "faqir has three steps (stages). First step he takes from eternity (without beginning) to this mortal world, second step from this finite world to hereafter and last step he takes from hereafter to manifestation of Allah." In the Fourth Way teaching of G. I. Gurdjieff the word fakir is used to denote the specifically physical path of development, as opposed to the words yogi (which Gurdjieff used for a path of mental development) and monk (which he used for the path of emotional development). 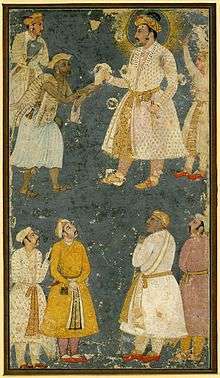 Emperor Jahangir receiving a petition from a fakir. The Fakir and Goshai was with the stronger religious influence, and there are even Bauls who would shave their heads as in their past and kept on practicing and believing in many of the basic creeds of Vaishnava-Sahajiya. So all followers of different religions and religious practices came under the nomenclature Baul, which has its etymological origin in the Sanskrit words Vatula ("madcap"), or Vyakula ("restless") and used for someone who is possessed or crazy. They were known as performers 'mad' in a worshiping trance of joy - transcending above both good and bad. Though fond of both Hinduism and Islam, the Baul evolved into a religion focused on the individual and centered on a spiritual quest for God from within. They believe the soul that lives in all human bodies is God. ↑ "Encyclopædia Britannica". britannica.com. Retrieved 2015-07-10. ↑ Hawting, Gerald R. (2000). The first dynasty of Islam: The Umayyad Caliphate AD 661-750. Routledge. ISBN 0-415-24073-5. See Google book search. ↑ The philosophical books of Cicero. 1989. p. 186. ↑ "Online Dictionary / Reference". Dictionary.com. Retrieved 1 October 2014. ↑ "Dictionary of Cambridge". Retrieved 1 October 2014. ↑ al-Futuhat al-makkiyya (The Meccan Illuminations),Cairo, 1911;partial trans. M. Chodkiewicz et al.,Les Illuminations de la Mecque: The Meccan Illuminations, Textes choisis/Selected Texts, Paris: Sindbad,1988. ↑ "Reference from Sultan Bahoo's book". Retrieved 1 October 2014. ↑ "Noor ul Khuda book of Sultan Bahoo". Retrieved 1 October 2014. Look up fakir or faqir in Wiktionary, the free dictionary. Wikimedia Commons has media related to Fakirs. Wikisource has the text of the 1905 New International Encyclopedia article Fakir.